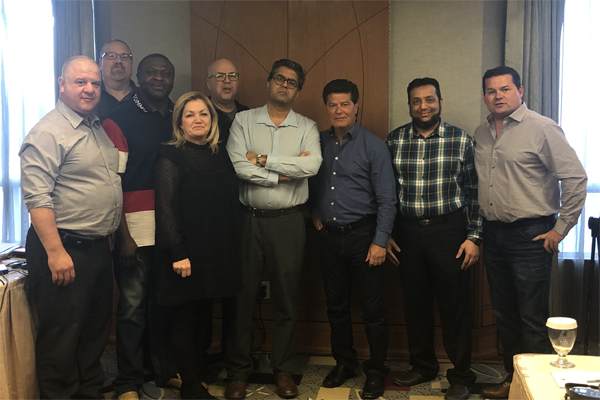 From left to right: John Caluori, Robin Dudley, Kato Nsangwa, Louise Gigure, Carlos Dion, Sonny Malhotra, Jerry Dias, Fazal Vankalwala, and Chris MacDonald. February 21, 2019: RATIFIED! Bulletin 8 – Bargaining Update (PDF). January 21, 2019: DEAL SIGNED! Bulletin 7 – Bargaining Update (PDF). January 14, 2019: Bulletin 6 – Bargaining Update is available as a PDF. December 20, 2018: Bulletin 5 – Bargaining Update is available as a PDF. December 7, 2018: Bulletin 4 – Bargaining Update is available as a PDF. November 23, 2018: Bulletin 3 – Bargaining Update is available as a PDF. November 19, 2018: Bulletin 2 – Bargaining Update is available as a PDF. October 25, 2018: Bulletin 1 – Initial Notification is available as a PDF.